Why do the aurora lights in the north and south pole look different? The Sun’s magnetic field, solar winds and the Earth's magnetic tail are responsible for making the aurora lights in the north and south poles look different, say international scientists. Researching the interactions of these phenomena have debunked previous theories around why the lights can have different shapes and can occur in different locations. This research also helps scientists to better understand the interactions between the sun and earth, which could help with predicting space weather. WASHINGTON — For many years, scientists assumed the aurora seen around the north pole was identical to the aurora seen around the south pole. The poles are connected by magnetic field lines and auroral displays are caused by charged particles streaming along these field lines. Because the charged particles follow these field lines, it would make sense that the auroras would be mirror images of each other. However, in 2009, scientists discovered aurora can look differently around the north pole and the south pole, including having different shapes and occurring at different locations – a phenomenon called asymmetry. Now, a new study in the Journal of Geophysical Research: Space Physics, a publication of the American Geophysical Union, explains how this asymmetry comes about and causes the differences in auroral displays near Earth’s poles. The new research finds the differences in aurora are likely caused by squeezing of Earth’s magnetotail -- a magnetic tail that extends away from our planet -- by the solar wind and the Sun’s magnetic field. When the solar magnetic field arriving at Earth is pointing in an east-west direction, it interacts with the Earth’s magnetic field differently in the north and in the south. This leads to asymmetric loading of pressure onto the Earth´s magnetic field and introduces a tilt in the Earth’s magnetic field on the nightside of the Earth. The tilt explains why aurora sometimes can have different shapes and occur in different locations in the two polar regions. The new finding contradicts previous theories about asymmetry, which suggested it was caused by the pulling apart and reconnecting of magnetic field lines in the Earth´s magnetic tail, a process called tail reconnection. The new study finds that, in fact, tail reconnection reduces this asymmetry. Not only does the new research explain why the northern and southern lights appear different in the night sky, but it also helps scientists better understand interactions between the Earth and the Sun. This knowledge is important for accurately predicting the location and timing of space weather events, which can create havoc for our electricity grids, satellites and astronauts in space. A related paper in the journal Annales Geophysicae details the asymmetry seen during a geomagnetic storm in August of 2001, and demonstrates the importance of considering geospace, or the interactions between the Sun and Earth, as an asymmetric system. “Without including these asymmetries our understanding of the Sun-Earth system will be far from complete and models will not be able to accurately predict the location and timing of geospace phenomena,” said Nikolai Østgaard, professor and head of the Birkeland Centre for Space Science at the University of Bergen in Norway, and lead author of the study in Annales Geophysicae. Earth’s core generates a magnetic field extending into outer space around our planet, forming a magnetic shield called the magnetosphere that protects the Earth from charged particles coming off of the Sun. The Sun emits its own magnetic field, called the interplanetary magnetic field, or IMF, that is carried by the solar wind and interacts with Earth’s magnetic field. During certain conditions, on the dayside of Earth, the Sun’s interplanetary magnetic field lines and the Earth’s magnetic field lines can be ripped apart and cross, connecting Earth’s magnetic field to the IMF. The solar wind flowing from the Sun moves these crossed field lines to the nightside of Earth and stretches it into a tail - called the magnetotail - that extends away from the Earth. Eventually, these crossed field lines are pulled apart and the Earth field lines rejoin with Earth field lines, and the IMF field lines rejoin with IMF field lines. Once the field lines are closed, they snap back towards Earth, accelerating particles nearby and causing auroral displays in the Earth’s upper atmosphere. Because these field lines may not be the field lines originally connected to each other, scientists thought these new field lines may not be symmetrically aligned, and could be twisted and connected back to Earth in different locations in the northern and southern hemisphere. They thought it was this tail reconnection that caused the differences in aurora in the northern and southern hemispheres. But, the new research shows this is not the case. 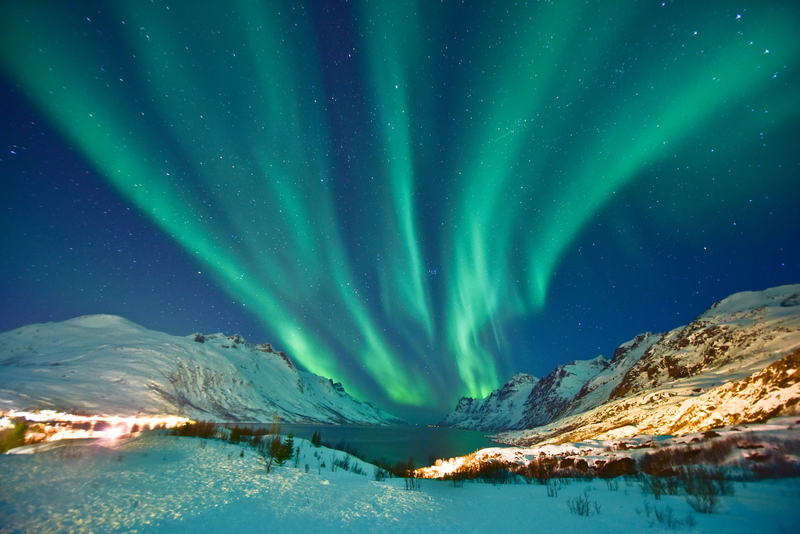 The new study examined multiple images of asymmetric aurora in the northern and southern hemispheres at the same time and how these auroras evolved over time, so they could see the same phenomenon happening over and over. Then they related it to activity in the magnetotail. The new study shows auroral asymmetry is reduced as tail reconnection progresses. Further, the asymmetry persists even if little to no reconnection occurs. So, the new study shows, tail reconnection is not responsible for the asymmetry. Instead, the new research finds it is differences in pressure being exerted on the magnetotail that cause these auroral differences. The magnetotail is being constantly squeezed by the solar wind and IMF, and it is this non-uniform squeezing on it from different directions that is causing the differences in auroral displays at the two poles. The squeezing depends on the orientation of the IMF.